MOSCOW, Russia — Starting a business in a modern-day Russia today requires navigating arduous geopolitics and market dynamics. Although the two factors are intertwined in business development within Russia, the application for microcredit in Russia chiefly concerns market dynamics. Microcredit in Russia is a catch-all solution to the issue of bringing economic freedom to its business owners and consumers. As of 2016, GDP per capita for Russian citizens lies just above $10,700 (measured in purchasing power parity). This same figure for the average United States citizen is over $59,500. The comparison between economic freedom and GDP per capita between Russia and the United States requires context. America belongs to the camp of developed, first-world nations, whereas its Eastern hemispheric counterpart is one peg lower on the hierarchical ladder of economic strength. Russia is joined by more than 100 other developing nations striving for modern solutions to archaic business issues that continue to disenfranchise its populations. Since the fall of the Soviet Union in 1991, market dynamics within Russia have stifled business development and deterred trade and foreign direct investment from multinational firms. The U.S. Department of Commerce notes that the increasing state dominance of the economy, high costs of borrowing and a lack of broad economic reform stunt growth and development. Generally, large U.S. multinationals and publicly-traded companies have exercised caution in conducting business within Russia. By 1992, Russia experienced a 14 percent decline in GDP. This signaled to the rest of the world that broad financial reform was in order. Despite Russia’s historically unfriendly business environment, America’s lead rating agencies Standard and Poors and Moody’s upgraded the country ratings to BB+ for risk of doing business in Russia, a step below investment grade. In the wake of uncertainty, an alternative solution may bring economic growth to the small and medium-sized enterprises that span through Russia’s 17 million square kilometers and that has 140 million consumers. Rather than of relying on foreign direct investment (FDI) from abroad, Russia must begin to implement its own business loan financing system to incentivize owners of small and medium-sized businesses to take on risk, open shop and stimulate the Russian economy. Microcredit, also known as micro banking and microfinancing, concerns one business owner and one bank with no middle-man in between. Small loans are given to an individual or group of stakeholders who give up little or no collateral in exchange for a series of small loans to finance new business activity in an area or industry. The loan is specifically granted to individuals belonging to rural or impoverished areas and serves to economically revitalize undeveloped areas or nations. The first microcredit loan was granted in 1976 by Dr. Muhammad Yunus, a young Bangladeshi economist who observed a large majority of the world held in poverty due to their inability to take on debt as a means of rising out of poverty. Yunus set up the first private microcredit bank in the world in order to solve this suboptimal state. Implementing a nationwide microcredit program in Russia would follow the standard course of financing as it was pioneered almost 50 years ago and bring more money and power to its ambitious yet disadvantaged citizens. Russia is the 11th largest economy by nominal gross domestic product. This basically means that the country is ranked 11th in the world in terms of the wealth it creates within its borders via the producing and selling of goods and services. There is a business case for microcredit in Russia, but in order for it to potentially succeed, loans must be issued to developing industries that show economic growth within the Russian economy. Russia is experiencing a transition to Western capitalism whereby a newfound focus on consumption, retail and business development has captured younger generations of thinkers, innovators and entrepreneurs. 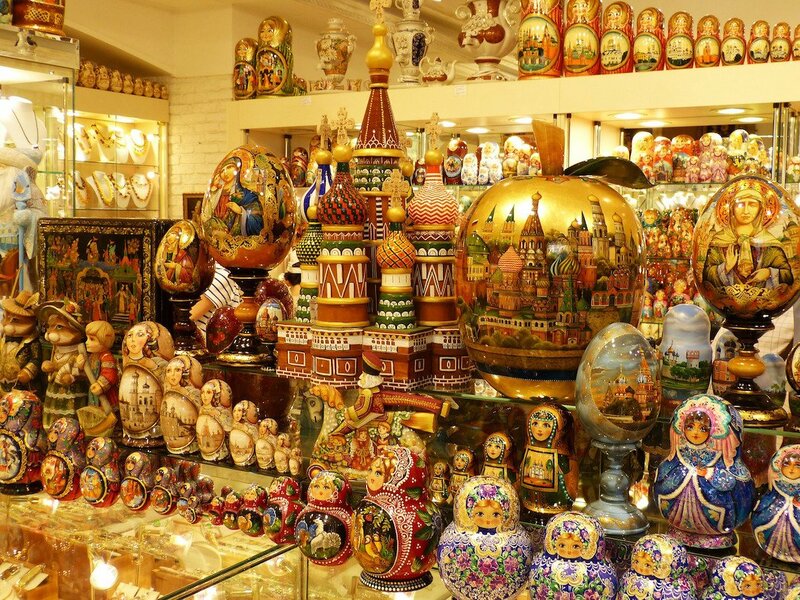 Widespread microcredit in Russia will serve the financial needs of those individuals. Microcredit in Russia has been around since the financial crisis in 1998 that hit the country hard and subsequent maturation. From 2004 to 2014, the portion represented by officially registered microfinance organizations (MFO) grew by a factor of 11. As of 2014, the portfolio of official microcredits is valued at approximately $1.4 billion. Compared to the industry-heavy development within Russian business, MFOs have a long way to go before they can achieve mainstream implementations and benefits. Although Russia flaunts its wealth in oil, natural gas and precious metals exports, the country is impoverished. Small and medium-sized businesses open and close shortly after due to the government’s lack of prioritization of loan financing and economic sustainability of small businesses. In order to support MFOs in Russia, an additionally proposed solution to the geopolitical sphere of Russia concerns lobbying efforts on behalf of multinationals and individuals interested in doing business in Russia. Once Russia realizes the rest of the world wants part of its resources and growing retail market, perhaps the government will support MFOs through a multidimensional lens. Effective lobbying coupled with microcredit in Russia will liberate Russian entrepreneurs and launch the country towards a path of national development.